I've seen a couple questions about how to convert a PFX to a cert file, but I need to go the other way. I'd like to convert them to a single .pfx file. Is there a tool that does this? 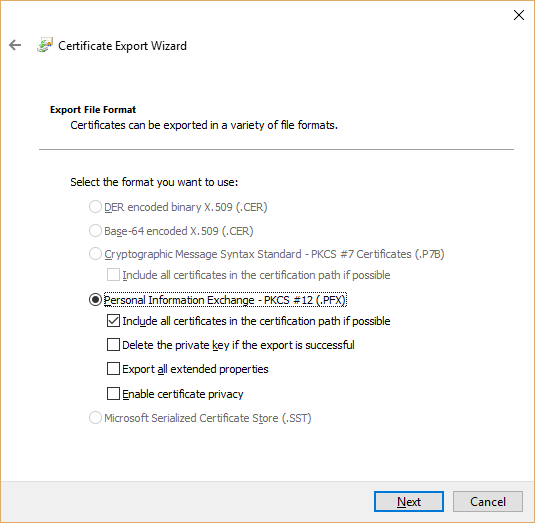 Import certificate to the certificate store. In Windows Explorer select "Install Certificate" in context menu. Follow the wizard and accept default options "Local User" and "Automatically". Find your certificate in certificate store. On Windows 10 run the "Manage User Certificates" MMC. On Windows 2013 the MMC is called "Certificates". 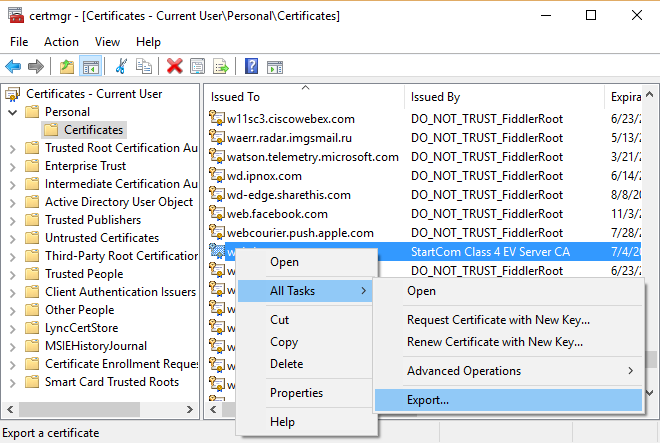 On Windows 10 by default your certificate should be under "Personal"->"Certificates" node. Specify password for private key. I created .pfx file from .key and .pem files. That's not the direct answer but still maybe it helps out someone else. Not the answer you're looking for? Browse other questions tagged certificate or ask your own question. How to execute a cUrl equivalent in Powershell (Invoke-WebRequest) using cacert file? How to get .pfx file from .cer and .key? How do I convert a pem to pfx file? Converting .PFX to .PEM programmatically? 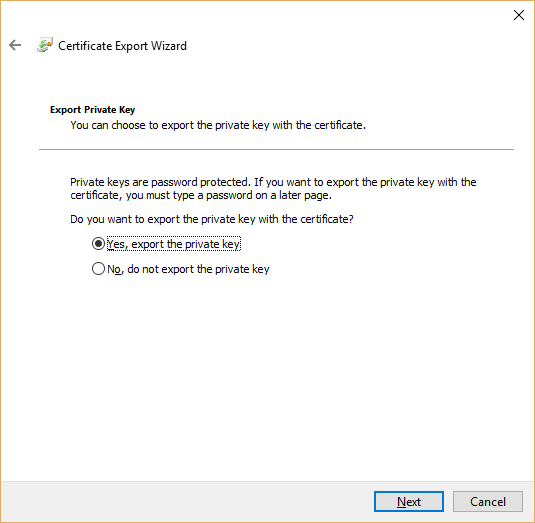 How to determine SSL cert expiration date from a PEM encoded certificate?